Windows is the most popular PC operating system around India due to it’s ease of User Interface. User don’t require any knowledge to command prompt In other operating system such as Linux, Mac user have to know some knowledge of Command Language. When you Boot your System with Windows operating system there are some Essential Steps which should be taken by every User for Security Purpose. If your Security is weak then your Data would be unprotected. Always be safe and be Protected with all major security technique. An anti-virus is the basic protection you can get against any form of Virus and malware.Since Windows7 can’t provide total security for your network and data we have to use some additional program to protect our file and system from most dangerous Viruses, Malware’s and Worms. Windows has Firewall to protect our Network Data.There are lot’s of freeware anti-virus software which can protect your computer for Virus. Here are some of the good antivirus which will protect your system, Like Microsoft Security Essentials, AVG Anti-Virus, Avast Antivirus, BitDefender Total Security, Avira AntiVir Professional. Check whether automatic updates of your Operating System has been enabled or not. 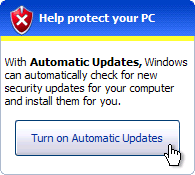 If not then Please enable it otherwise all new update which are upcoming would not get Installed in your Windows 7. 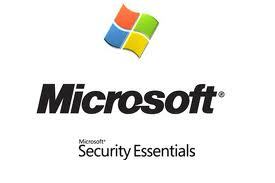 You will get all update and get secured to all new threat and vulnerability. You can Increase the Performance of your Windows 7 System. Here is the Steps by which you can Speed up your Windows 7. Click on Start > Control Panel > Hardware and Sound > Power Options > Create a Power Plan, choose the High Performance option and give your name. On Laptop if you are running windows 7 you can Increase the performance of your battery, Saving energy is probably more important than speed. STEP 1:- Click Start > Run and type CMD. STEP 2:- Right Click on link cmd.exe and select Run as administrator. STEP 3:- type ” powercfg -energy ” and Press Enter. Windows 7 will analyse your system and produces detail report. Windows 7 comes with the default Internet Explorer browser, there are many drawbacks of Internet Explorer. To overcome drawback their are many other browser which runs faster and smoother then Internet Explorer, such as Google Chrome or Mozilla Firefox. Your System can crash at any time So it better to Create Backup of your data. Windows 7 comes with Inbuilt Backup tool which will create your backup. Steps to create your backup of data Control Panel > System and Security > Backup and Restore > Create a system repair disc.